Do you know what is two months and ten days away? So, do you know what needs to be going in my mailbox in two months? My mom always taught me, "If you don't send them, you won't get them!" Since I LOVE getting surprises in my mailbox--especially at Christmas--of fun pictures and fancy cards from friends and family, we send them! Can you guess where our favorite place is to get our Christmas cards made? We're pretty loyal Shutterfly fans around here. Shutterfly is the best at coming up with new collections of cards that feature everything from traditional colors and embellishments to merry and bright colors that take on a modern snazzy feel. They always have something that we love! They also have crazy awesome Special Offers! The kids pick this one! The Pinterest browsing part of me picks this one! And this one would win the most brownie points with the Grandmas! What Christmas card will you be picking? 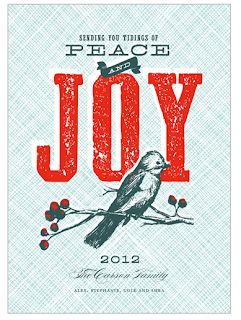 Check out Shutterfly's Christmas Cards and let me know your favorite design! ...and for sharing in the fun and excitement of Christmas cards, I'll pick one comment to win $50 to spend at Shutterfly! Pretty awesome, yes? Leave your comment by October 29, 2012! 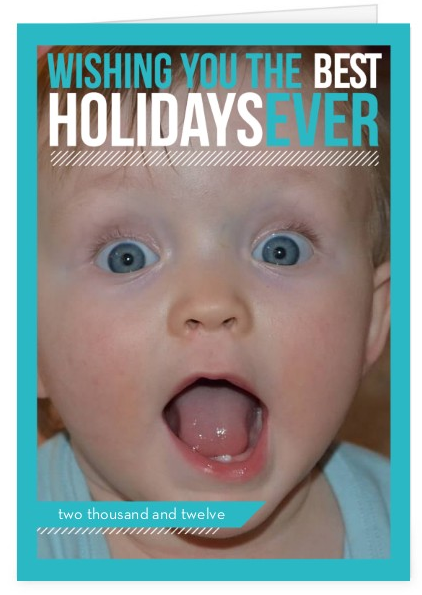 Be sure to check out these Fun Shutterfly Social Channels, too! How fun!!! I love shutterfly! Love the picture of Chloe in the paper- what a doll! I'm your brother. That should win me $50. Londa I love the picture of the kids such a good picture. 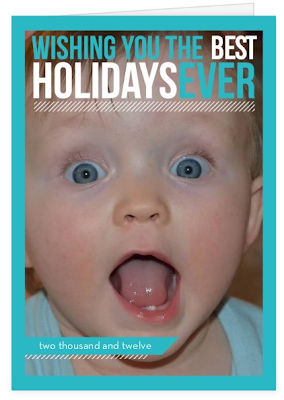 I love shutterfly, because of all the choices. I spend hours upon hours trying to figure out which card I like the best and continue to second guess myself. However you just can't go wrong with any of them. I like the first one!! Very cute! Hope to see you soon. Miss you guys! When we get cards with pictures, we like to cut out the pictures and keep them in a prayer journal photo album. We love looking at them all year and praying for our family and friend. I am sorry to say that plain cards just get tossed. All that to say, my vote is for the picture with all your kids. Plus, how you got all kids looking at the same time is a miracle. Very Christmas card worthy! Ooooh, I love Shutterfly - I used them the last two years for our Christmas cards, and they were awesome! So hard to pick one design, but I love the Family Moments card. Thanks for the reminder to get going on my Christmas cards for this year-- Time is flying! 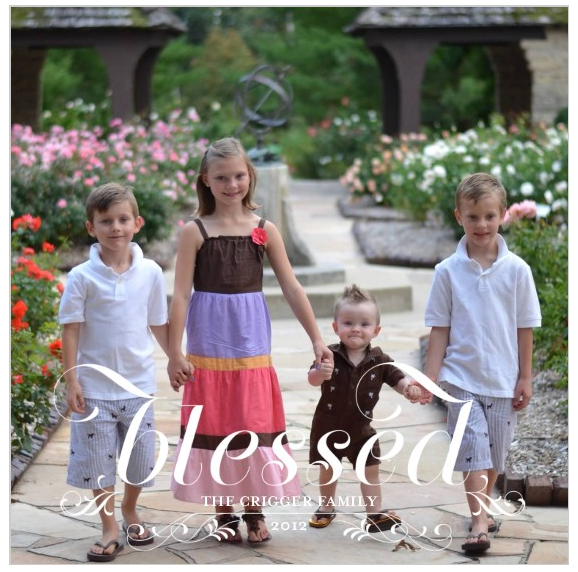 I love the one with all 4 kids holding handset- very sweet!